People have started to turn away from Beall. 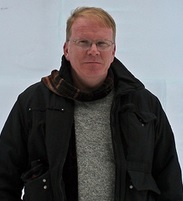 Jeffrey Beall holds a BA in Spanish and an MA in English as well as an MS in Library Science. He does not hold a PhD. He worked as cataloger and metadata librarian. Beall has published extensively (jack of all trades) in the LIBRARY JOURNAL in the field of astronomy (sun, comets, plantet, alien intelligence, death from the skies), space science (building spaceships), meteorology (tornados, climate change), medicine (AIDS), geography (San Andreas Fault). He has written against metadata in general and specifically against Dublin Core. He is against Google Scholar. Beall is against Open Access publishing, but publishes himself also Open Access on occasion. Jeffrey Beall is (in)famous for his often libelous blog posts against Open Access publishing on http://scholarlyoa.com. He is also (in)famous for his extensive list of about 700 publishers. Publishers on this list are called “potential, possible, or probable predatoryscholarly open-access publishers”. According to his definition “predatory publishers … exploit the gold open-access model just for their own profit, pretending to be legitimate publishing operations but actually accepting any and all submissions just for the money.” (Beall 2013) As such by definition, “predatorypublishing” exists only among Open Access publishers. Subscription based publishers can never be “predatory” no matter how much they charge for subscription or for various page charges and no matter how small their service and reputation might be. Controversy about Beall’s List starts already with the wording “predatory open access publisher”. “As former Springer Publisher Jan Velterop put it … ‘using such a term as ‘predatory’ is asking for trouble if malicious intent can’t be proven. To question the journals’ prestige is one thing, but an almost criminal accusation quite another.’ ”(Poynder 2013) Even Beall himself states: “In many cases, the predatory publishers are not doing anything illegal.”(Elliot 2012) The term “predatory open access publisher” is used predominantly in the USA. In Europe e.g. at OASPA or DOAJ use of the term is carefully avoided. Lars Bjoernshauge from DOAJ derives based on a dictionary definition: “A predatory publisher can then be described as a publisher who intends to injure or exploit others for personal gain or profit.” (Bjoernshauge 2014). The tem “predatory” was also challenged on Wikipedia Talk. Beall was asked “could you please clarify the difference between potential, possible, or probable predatory publishers, for instance a potential or possible would not have same detrimental effects as if confirmed?” In the answer, Beall did not clarify the difference between “potential” and “confirmed”. Beall continues to remain vague about what is apparently wrong with publishers on his list. Important for him seems to be to stigmatizes publishers. In case he may get an innocent publisher on his list, he can easily back off saying: “It was only a possibly predatory publisher”. Beall’s list consists only of links to the publishers. Beall claims he has done the evaluation of publishers in accordance with his criteria, but he does not give any kind of evaluation from which it would be possible to determine why a publisher is on his list. Beall’s criteria (2nd edition) are negative criteria. They list the “bad things” publishers could possibly do. Criteria fall into 2 major groups Primary Criteria (“predatory” criteria) with 4 sub groups and Secondary Criteria which are not further grouped. The number of criteria are given below in brackets. There are 25 Primary Criteria and 23 Secondary Criteria. Beall does not specify how his criteria are applied. We can only assume the toughest measure is applied: To be found “guilty” of already one of the Primary Criteria will get a publisher on Beall’s list. To be found guilty of Secondary Criteria has no effect with respect to getting on the list because Secondary Criteria are introduced with “The following practices are considered to be reflective of poor journal standards and, while they do not equal predatory criteria, potential authors should give due consideration to these items”. In an e-mail Beall was asked how his criteria are applied. Beall answered the e-mail with respect to other questions, but did not respond to the question about the application of his criteria. Some of the criteria are questionable. 1.2.3) “Depends on author fees as the sole and only means of operation with no alternative, long-term business plan for sustaining the journal through augmented income sources.” Open questions: Is it necessary to publish the “long-term business plan” online? How many years of successful existence of a publisher will imply the business plan can sustain the journal? Why is it not allowed if a journal is successful on author fees as the only means? 1.3.3) „The journal falsely … uses some made up measure (e.g. view factor), feigning international standing.“ Debate: It is custom to show number of views and downloads with online journal articles. If showing these numbers helps „feigning international standing“ remains highly subjective. 1.4.3) „Operate in a Western country chiefly for the purpose of functioning as a vanity press for scholars in a developing country.“ Open questions: Corporations work globally. When does a company „operate in a Western country“? When is it chiefly for what purpose? How is vanity press defined? What is the distinction between “developing country” and “Western country” about in the first place? Remark: Criterion seems a little arrogant and written from a Western perspective. 1.4.5) „Publish papers that are … obvious pseudo-science.“ Remark: This seems to be the criterion Beall chiefly works with when no other criteria are at hand. It is always possible to label a paper „pseudo-science“. When is it „obvious“? For whom is it „obvious“? Beall (2013)indicates what this could mean for him: „Some of these ideas include issues relating to sea-level rise…, anthropogenic global warming.“ These are issues others would call mainstream science. We can also take Beall’s own extensive publications in the LIBRARY JOURNAL about topics ranging from astronomy, geography, medicine, meteorology to space science. Maybe everything below that level of scientific novelty and rigor is defined as pseudo-science. 2.3) “The publisher publishes journals that are excessively broad“. Remark: Beall (2013): „Predatory publishers discovered the megajournal model by copying ‚successes’ like PLOS ONE.” All megajournals are automatically dubious for Beall. 2.5) “The publisher requires transfer of copyright and retains copyright on journal content. Or the publisher requires the copyright transfer upon submission of manuscript.” Remark: This means that nearly all subscription-based journal publishers engage in questionable practices. 2.8) “The publisher engages in excessive use of spam email to solicit manuscripts or editorial board memberships”. Open questions: When is it “excessive”? When is it “spam”? E.g. in the USA, Unsolicited Commercial E-mails (UCE) are legal as long as they adheres to 3 basic types of compliance defined in the CAN-SPAM Act. 2.9) “The publishers’ officers use email addresses that end in .gmail.com, yahoo.com some other free email supplier“ Remark: The connection with journal quality is unclear. 2.22) “The publisher uses text on the publisher’s main page that describes the open access movement and then foists the publisher as if the publisher is active in fulfilling the movement’s values and goals.” Remark: Everyone who is publishing quality OA can be seen as part of the “movement”. The criterion is hence unclear. Its evaluation is subjective. UPDATE 0n 2015-01-06: Beall’s criteria (3rd edition) got published on 2015-01-01 including small changes and additions. With respect to the questionable criteria from above: 1.2.3 got deleted. 2.5 only applies now when APC have to be paid. A new questionable criterion (next to last): “There is little or no geographic diversity among the authors of articles in one or more of the publisher’s journals” Remark: A national journal can well be scientific. Question: Does this also apply to purely US journals? Remark: In this criterion we see a general problematic logic used by Beall. His verdict from one journal is transferred to the publisher and back to all journals of the publisher. Why punish other journals at the publisher for what happens with one journal? SCIRP and its journals are set up such that they are not "guilty" of any of Beall's criteria. Look through SCIRP’s website to check for yourself (as long as the evaluation is not on this blog). Publishers can appeal if they think they should not be included on the list. The email will be forwarded to a four-member advisory board. It is not transparent who is on the advisory board. The only case reported so far was Hindawi getting off the list. With this in mind, it does no make much sense to appeal. We learn: Either Beall takes a publisher off the list by himself or nothing will happen.